BAR HARBOR, ME—Explaining that he really needed to escape from the increased public scrutiny into his personal and professional life, stressed-out Fox News host Sean Hannity reportedly bought 12 little cabins in rural Maine over the weekend to get away from it all. 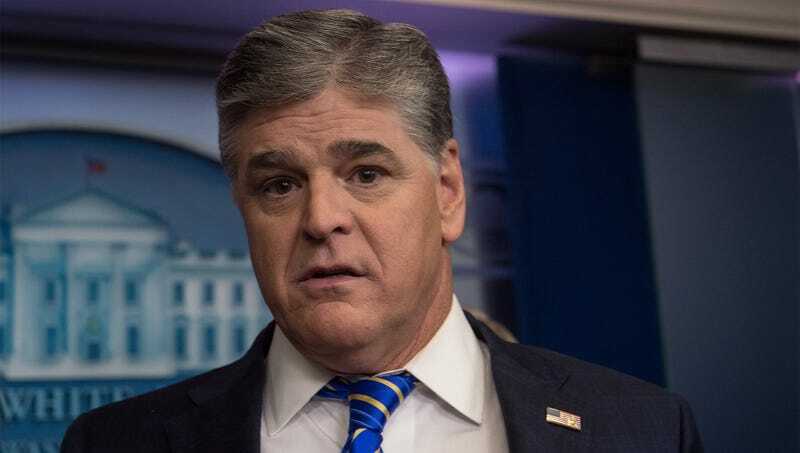 “I was getting really burnt out with work stuff and trying to deal with that whole Michael Cohen thing, so I decided to head up to Maine for a bit and purchase a dozen quaint cottages where I can just kick back and relax,” said Hannity, adding that he was looking forward to a little peace and quiet after buying up all the properties in a 10-mile radius through a shell company and evicting all of their tenants. “I absolutely needed a little stress reliever, so I splurged on these cozy, remote cabins where I can just unwind and recharge my batteries. It’ll be nice to get out of the rat race for a while and just enjoy the great outdoors with nobody else around. Man, this is the life.” At press time, Hannity was feeling utterly serene and carefree after receiving a $6.8 million check from the U.S. Department of Housing and Urban Development that paid for his 12 new cabins in full.